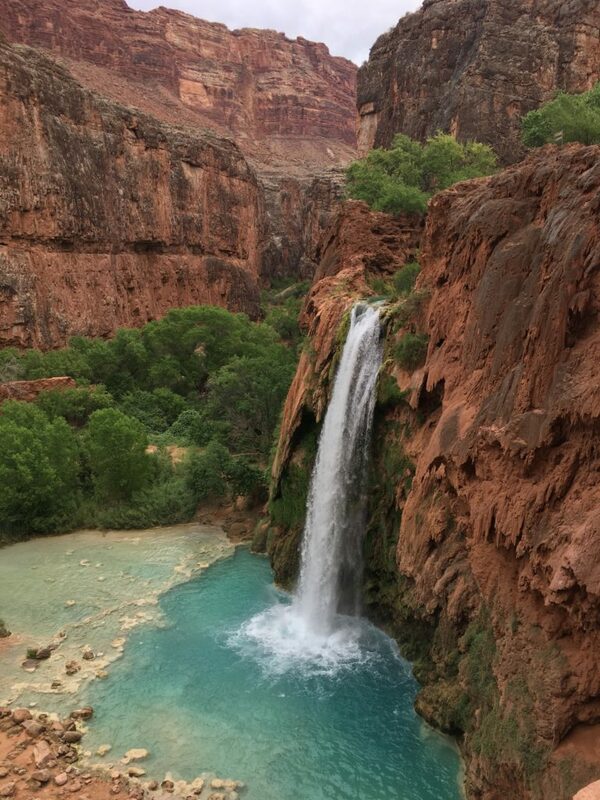 A few months ago, while the subarctic was still in its annual deep freeze, a conversation about running down to Havasu Falls started up with some of the Speedsters. Don’t ask me how, but I was included in the crazy adventure planning. For a few months I just let the conversation swirl, after all, there was no way I could run to the bottom of the Grand Canyon and back in a day … nor could I possibly run 30+ kms .. the farthest I had ever previously run in one stretch was 28 km. That adventure nearly killed me and made it clear that I am never going to be an ultra marathoner. And I agreed, it would be fun … because it would be! Theoretically speaking, of course. They took my agreement of fun as confirmation of my participation. I had seen the pictures and definitely wanted to go … but it seemed impossible. Finally the day for signing up for a spot at the overnight campgrounds was around the corner. We met for coffee to discuss logistics and plans. 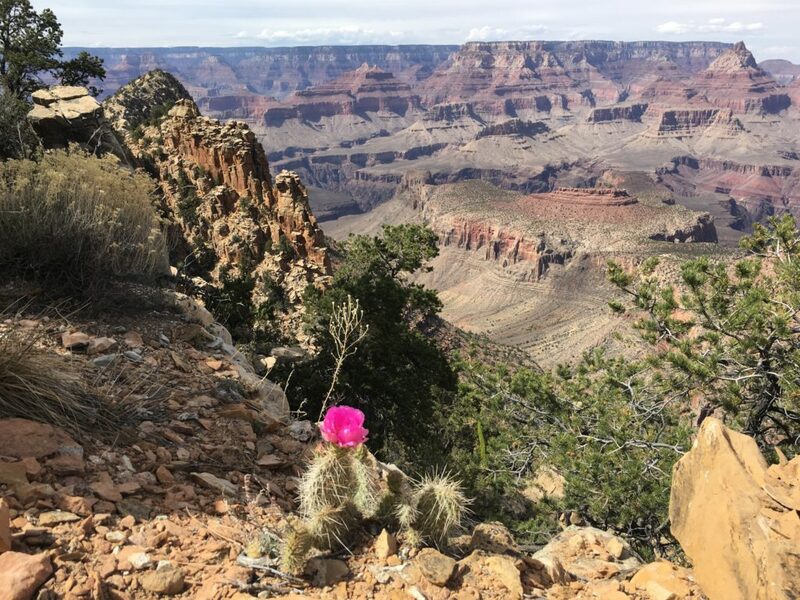 I confessed my inabilities and fears about dying at the bottom of the Grand Canyon. I told them I was not going to do it … that I am not a Speedster and they have the wrong woman. Somehow, an hour later, I found myself agreeing to run to the bottom of the Grand Canyon and back in a day over the May long weekend. It was clear that I needed to find some new friends. Their confidence buoyed me and I was excited. Then I was going to back out … after all dying in a canyon is a bad way to go, even if it is grand. I was doing this thing. I submitted myself to all kinds of physiotherapy in an effort to be able to see Havasu AND get out of the canyon in a day without requiring helicopter assistance. Flights were booked, plans were made, and then the googling began. Panic set in once again. Water – how am I going to have enough? How do I purify it? Heat – how do I avoid sunstroke? Running – how do I keep up? Shoes – which ones do I use to avoid tripping and falling into the canyon? Rules – no day hiking … what does this mean? We are running, not hiking … we have a reservation and paid to be there, but do they tag you when you come in and go out?! 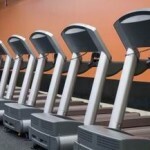 Can you ‘day run’? Running backpack – I need one. Does cute and functional in this kind of a thing exist? My poor, speedy friends … they heard it all … several times. Finally, the day of departure came. My suitcase was filled to the brim and included my cute little purple running backpack, water purifying solution, snacks galore for the run, three different pairs of running shoes, and about seven different clothing options for whatever weather might come our way. Getting on the plane at 8:00 am on Saturday morning, I was both prepared and petrified. 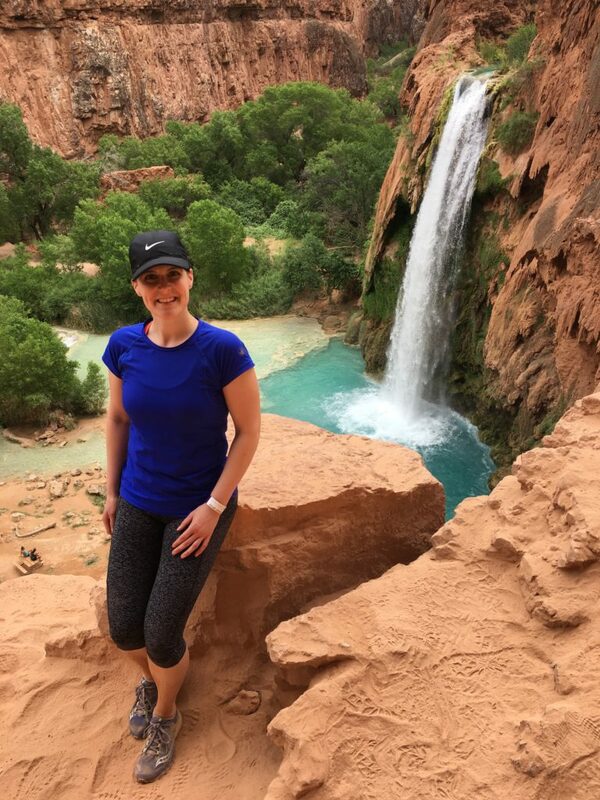 As a ‘warm up‘ we decided to do some hiking in the Grand Canyon on Sunday, the day before the big Havasu Falls day, you know, to build confidence for the next day. I took this picture on the way up on one of my MANY breaks. The Grand Canyon is so massive that in some ways it is hard to ‘see’ it. While down three miles down into the canyon at Horseshoe Mesa on the Grandview trail, it seemed doable. And then we had to go up. Which, in theory, should have been just fine. After all, I do a lot of hiking and climbing up steep mountain paths – the 800 meters of elevation gain in roughly 6 kms should have been tough, but doable. Instead, I gasped for breath, poured sweat, and felt ill – extremely ill. So much for a confidence booster. 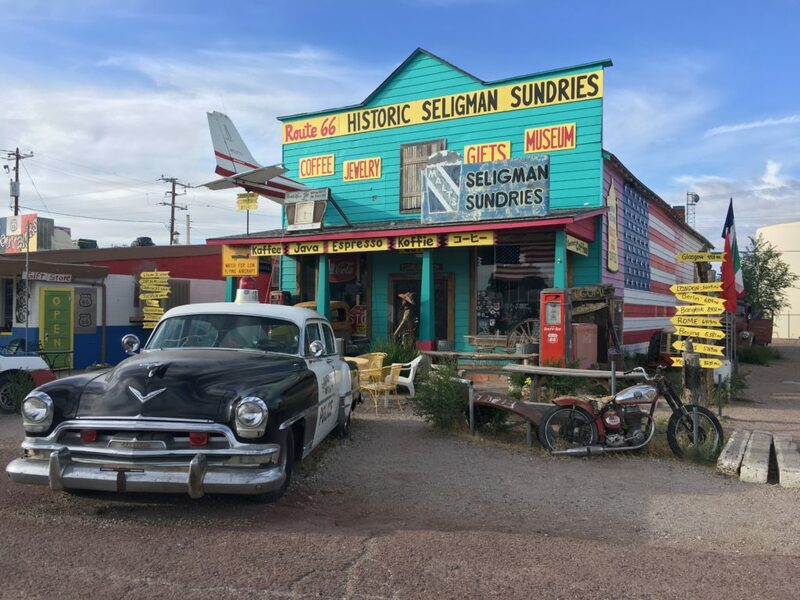 While in route to Seligman, the small, hilarious town that is a home base for nearly everyone going to Havasu Falls, I considered my fate while wondering how I could be this out of shape. Not sure if the day’s poor performance had to do with dehydration, slight altitude sickness, heat, or a combination of all three, I was anything but sure about the next day’s adventure. The town has 450 people, two restaurants, about three motels, and a lot of personality! Coming to the conclusion that I should at least start the adventure and give myself permission to turn around whenever I felt it would be too much only took a two and a half hour car ride of discussion with Speedy, more dissection of the current state of affairs with the other two Speedsters over dinner and the largest piece of carrot cake know to humanity, and the realization that the only thing to do is Seligman other than go to Havasu Falls is to literally watch the tumbleweed roll by. I am not a tumbleweed watching kind of a woman. When 4:30 am rolled around and the alarm went off, I was already awake and had been for nearly two hours. 30 minutes later, we were on the road munching and on breakfast. Despite being sleep and caffeine deprived, I was confident. Confident that I might die. The drive from Seligman to the Supai trailhead is about 90 minutes of single lane highway that winds down to the giant crack in the earth known at the Grand Canyon. At 6:30 am, we were parking in the large lot filled with the cars of the brave souls who have literally gone before us. Icky trailhead outhouse was visited. Pre-death pictures were taken of the start. A giant deep breath of resolve was taken. From my hours of research on Google, the trail to Havasu was described as everything from ‘easy‘ to ‘epic‘ and the elevation loss was anywhere from 750 to 1,200 meters. Seeing how I barely made it through 800 meters the day previous, all my confidence was scattered somewhere on Horseshoe Mesa. 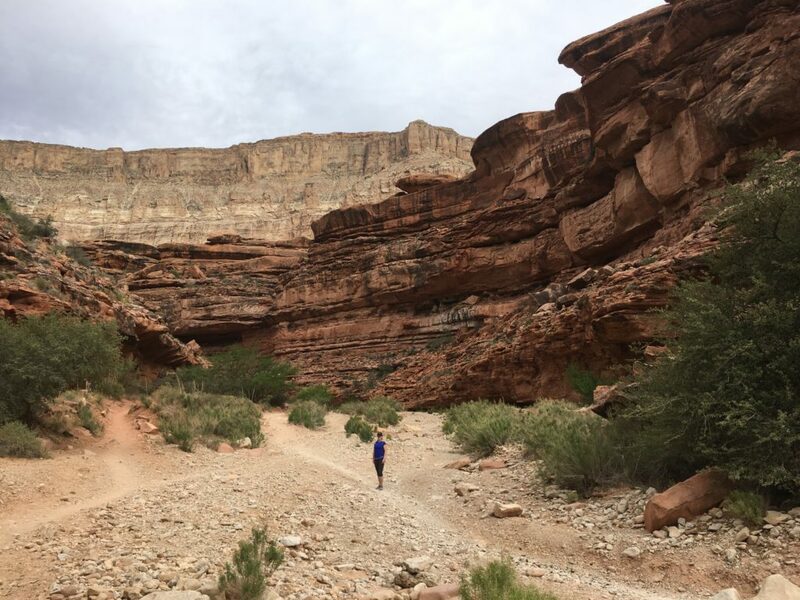 The one thing that is clear about the trail on the internet is that the first few miles are switchbacks and then the following 7 or so miles are a very gradual descent into the visitor centre in Supai Village. 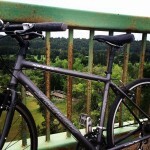 I decided to do the switchbacks and then make a decision. 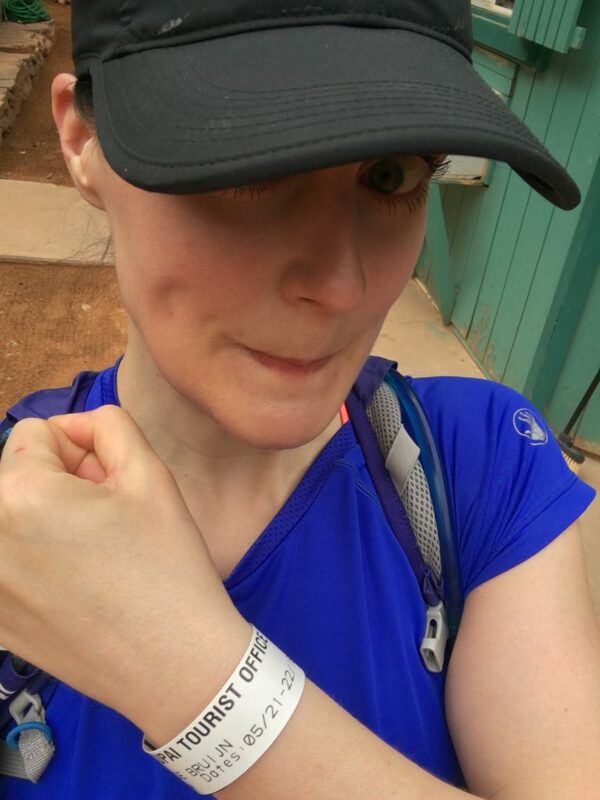 After all, even if I got three miles in and decided it was impossible to do the whole day, climbing back up would be completely possible by the time the Speedsters finished exploring the falls 7 miles down the trail. The trail zigged and zagged down for about 30 minutes and then suddenly levelled out. Surprised by the lack of difficulty, I put my camera in my backpack and started chasing the Speedsters when they started running. Let the slow descent begin! Easy trail running at its finest. PHEW! Social pressure of running with the group and passing people on the trail (you don’t want to run by and then have them pass you later) kept my feet going. An hour and a half later, I somehow found myself at the Supai Village checking in with the rest of the group. With my wrist band in place and shoes full of sand, I was ready to explore the falls. Starting out so early in the morning meant most of the hikers were still behind us on the trail and everyone at the campground was either sleeping still or had already packed up and we had surprised them on the trail as we ran by them on their way out. We nearly had the falls to ourselves. By 11:45 am, after a few snacks and rehydrating, we were ready to head back. Everything except Beaver Falls had been seen by your’s truly; the several water crossings and additional 4 miles didn’t seem worth it to see an even bigger copy of the two falls I had already seen. Besides, I had another 10 miles / 16 km to go and I had already put nearly 20 kms on my feet which were starting to feel more than just a bit blistered. So happy to have found the falls! The miles there and back were worth the beauty! After wading through the sandiest parts of the trail close to the town and emptying my shoes three times, I was ready to start the run up to the car. My resolve to run back to the car lasted for nearly a kilometer. My legs protested and I agreed. Falling over and hurting myself because my legs were turning to jello didn’t seem like a good idea. There was another 8 hours of daylight left; even if I hiked at a sloth’s pace, I would make it to the car with daylight to spare. Besides, I didn’t think the Bearded Physiotherapist Man would approve of all the uphill running and after nearly dying three times, I would do anything to avoid having him stick needles into my hips and proclaim that my showgirl days are over. Two of the Speedsters decided to check out Beaver Falls – after all, this is most likely a once in a lifetime adventure. They caught up with us about a kilometer before the climb began. Hearing that they didn’t make it there due to the amount of water crossings that were above waist high confirmed that I made the right decision to simply turn around and start back. 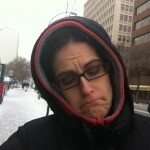 The previous day’s tribulations were fresh in my mind. I let the three of them start the climb and then took a deep breathe and began. As always, climbing is not easy, but it was the correct amount of ‘not easy’ on this day. I made it to the top about 15 minutes after the Speedsters and felt on top of the world. Why do I make everything so difficult? While pounding back some water from the dust covered rental car, a frazzled woman came into my view. After a few days down at Havasu, she had arrived to find that her car wouldn’t start. Jumper cables and directions on when to start the car and how you should NOT to turn it off right away were given. Receiving a giant hug from a tiny woman who was amazed at my knowledge of all things mechanical wasn’t the worst way to end a day that I thought might end in disaster. Avoiding disaster and fixing someone else’s at the same time was just about perfect. We drove back to the tumbleweed town and ate dinner at a cafe who’s slogan is, “You kill ’em, we grill ’em!” Getting up from dinner, my legs buckled. Tired, worn out, and stiff, I had to take a wide circle towards the door. “How much wine did you have? !” asked one of the other tables. Sweet, blissful sleep came in about three seconds after lying down, even though my feet with the twoonie sized blisters on both heels hung off the end of the very small bed. A lovely place to visit, but I am sure glad we didn’t camp down there. A real bed, a hot shower, and not hauling 50 pounds of camping paraphernalia out of the canyon is the way to go! It is important to risk failure. To do the things you think are impossible. And to have amazing friends in your life who will help you go farther than you knew you could, friends who believe in you when all your faith has been scattered to the wind. So now that I don’t need new friends, I simply need a new adventure. And as I set out on the next adventure, which will have its own set of fears, stress, challenges, and questions, I will remember to not judge yesterday’s fears with today’s wisdom. It is, as they say, impossible until it is done. What are you willing to risk being a failure at? Why not leap off the cliff – what if it turns out you can fly? Yoga, Its All Greek To Me! Training for a bodybuilding competition has no room for complaining about the arctic tundra winters of life. So you have a muffin top, your metabolism is less than stellar, cellulite hangs around after spending an eternity on the treadmill, and building muscle takes forever. So what? Once again I am completely inspired by people living to their full potential. I am inspired and challenged by two women that have a spark in their hearts and aren’t doing anything to deny or hide it. They are brave women that are choosing to live life to the fullest, be healthy, and aim high for their goals. Sunday…The Secrets Will Be Revealed! Like a small child that can’t wait for a big event, I can barely wait for Sunday. I will be attending an all day seminar put on by the INBF and Dr. Joe. When I started out on the journey to compete in a Figure Competition in November, I was a woman that did not understand what eating clean meant, portion size, or how all calories are not created equal. Isn’t a 130 calories the same? Does it actually make a difference if it come in the form of a mars bar versus a piece of salmon?